I have been working on making my own bitters, but that project is far from ready. In the mean time, I decided to write a post discussing various amari (singular: amaro. Incidentally, the title of this post ought to be “Guide to Amari”, but we all know no one is going to search for that. It’s all about dat traffic), their characteristics, and their uses. When I first became interested in craft mixology, I noticed that a lot of the recipes I found on the internet called for liqueurs with Italian names, and I had never heard of any of them, and I didn’t know anything about their flavors. Lately, as I browse around various cocktail blogs, the big shots know how to handle them, but most people mixing drinks at home are really uninformed, so I broke out all the amari in my home bar, and tasted them all again, just for you. Most of these spirits fit a similar flavor profile. The flavors words that I am using to describe them capture a degree of variation roughly on the same level as wine. First and foremost, all of these taste like amaro, except for Campari and Fernet, which are more distinctive. and I’m not even sure if Campari counts. 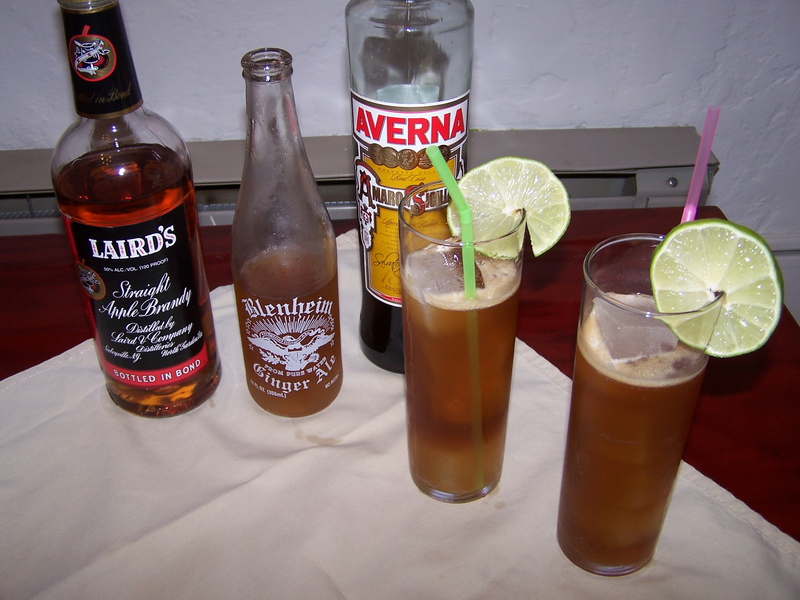 All Amari are liqueurs, meaning that they have a substantial quantity of sugar, but they also have a strong bitter note on the finish. 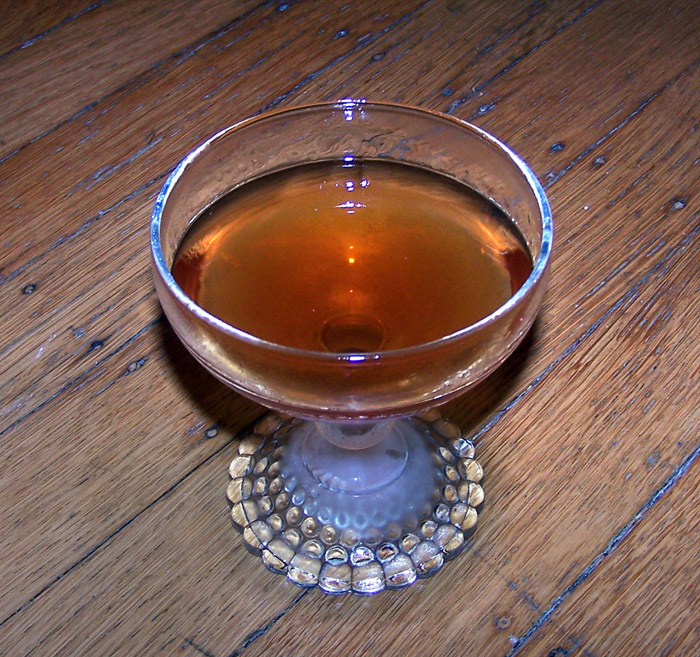 Bitter flavors provide the bass line for your drink, and a slug of amaro is often a great way to achieve that. Especially when making aromatic cocktails, they are great for layering complexity on top of a base spirit, or for lending a touch of the exotic. Once in a while, you can even find one in a tiki drink. Ah, nothing makes a finer night cap. I find that most of these spirits are great on their own. You do not have to mix them into cocktails to enjoy them, but at the same time they are another dimension to play with when making your drinks, and quite an enjoyable one. 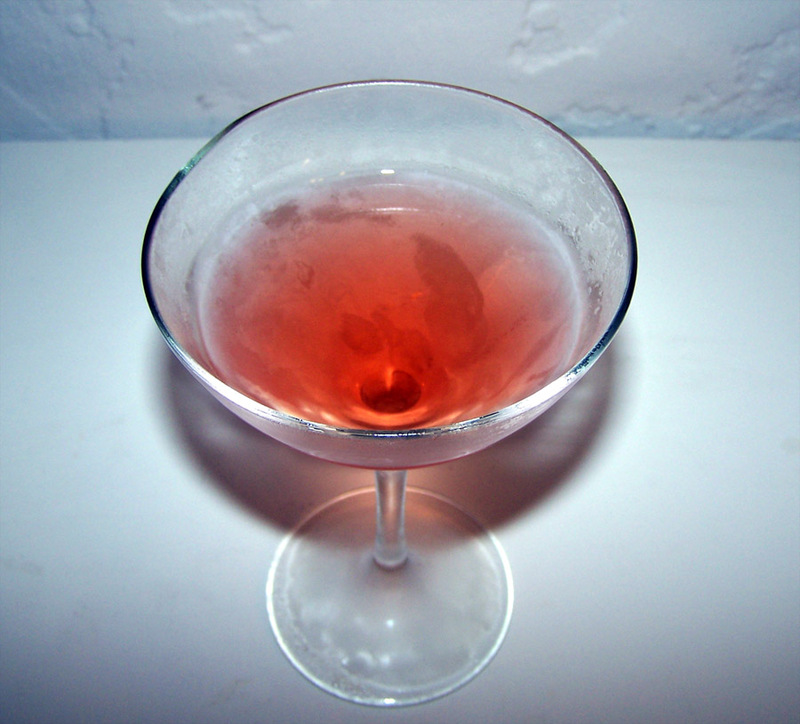 First up is Campari, which is a scintillant red color, and that selfsame color is perfectly artificial, I assure you. In the past, someone told me that it is flavored with rhubarb, but I am unable to detect any Since I’ve been making my own bitters, I have had occasion to smell and taste the flavors of a number of common bittering agents, and I can now observe that almost all of the flavor in this liqueur come from Cinchona bark, though it does have a hint of orange flavor. I don’t think it technically counts as an amaro, but it’s still a bitter Italian liqueur, and if you don’t like it on this list, you can write your own blog post about it. I consider Campari to be an essential element of any home bar, as it is a critical ingredient in the Negroni, one of the pillars of classic cocktailia. Next up is Averna, which is dark brown, almost black. According to the internet, it has a citrus flavor, but when I drink it, I primarily taste the flavor of burned caramel. Honestly, I’m not a huge fan of Averna — it’s not quite as bitter as I would like, and it lacks the complexity that I really look for in an Amaro. It’s quite drinkable, and CVS has some fun ideas for what to do with it, but it’s definitely on my B list. I don’t suggest it unless you already have a decent collection, and you’re trying to round it out. Amaro Ciociaro is perfectly black. I’m sorry to say, I don’t have any drinks with this one yet, but I will soon. In contrast to Averna, I think this one is great, and one of the first that I would purchase when stocking a bar, right after Campari, Fernet, and Ramazotti. It has an excellent bitterness and a spicy complexity reminiscent of raisins, plums, and winter spices. That said, you could probably substitute Ramazotti for it in most drinks, so it might be a little bit redundant. Bitterness: 6/10. Proof: 60. 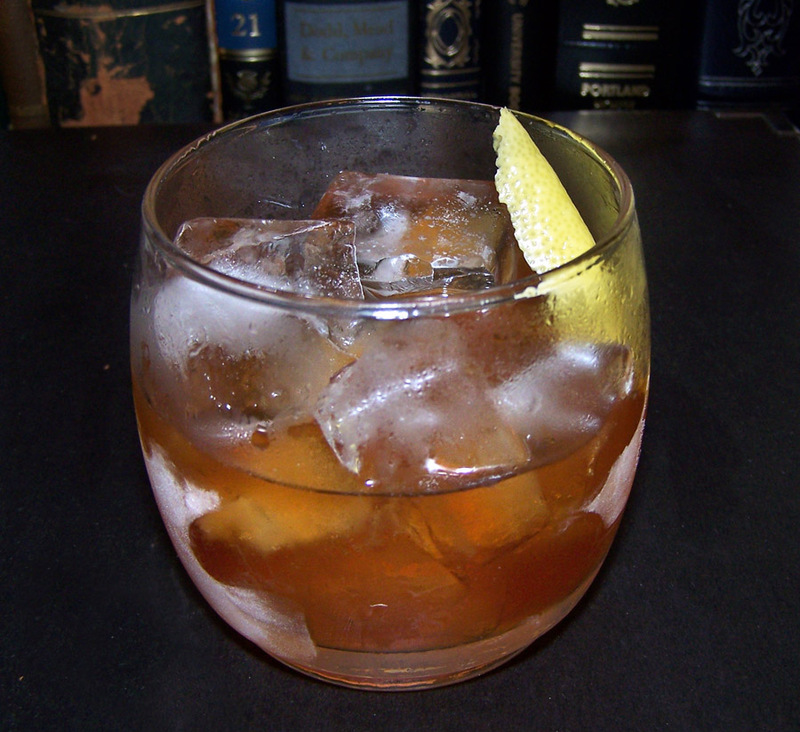 Since I don’t have a drink for this one, it’s probably a good time to mention my generic recipe for an Amaro Sour, based on Jeffrey Morgenthaler’s Amaretto Sour. 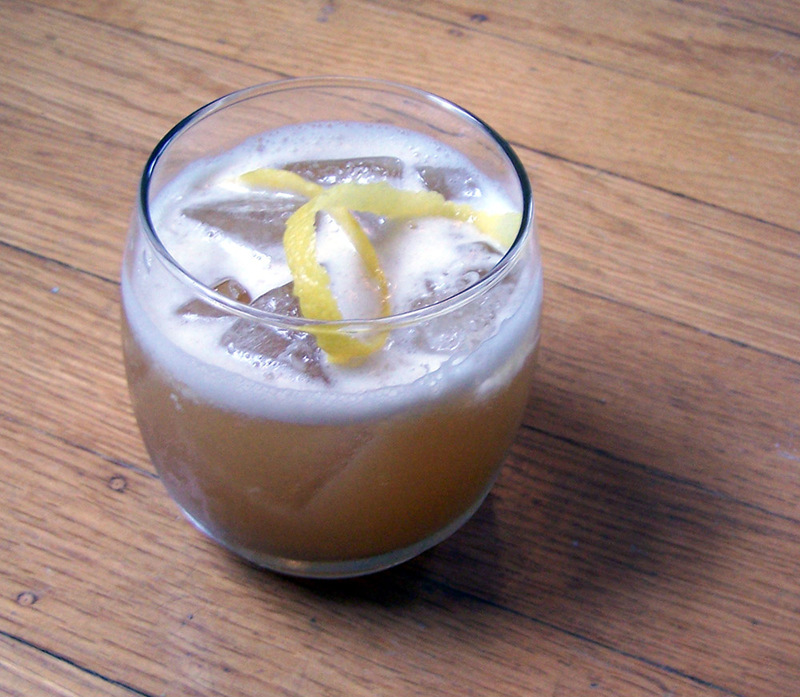 The great part is, it will look pretty much exactly like the Amaretto sour, so here’s that picture, to jog your memory. It’s important to note that some amari are much sweeter than others, and some are much bitterer, so it’s important to taste the drink before you add any simple syrup, and then adjust it accordingly. Fernet, for example, will probably call for a quarter ounce, perhaps even a half ounce of syrup, whereas Amaro Nonino is so sweet that you probably won’t want any. Moving right along, Amaro Montenegro, much like Ciociaro, is midnight black. It’s probably the sweetest of the bunch, with a citrus flavor that’s almost bubblegummy. I’m pretty sure it’s bittered with wormwood, primarily, and it has a nice sprucey, piney sort of flavor, similar to an IPA. If you are in the mood for an IPA-based cocktail, I think this would probably be the one to try first. When I last visited the Zig Zag Cafe, they served me a Pimm’s cup with Montenegro, and the combination elevated both spirits significantly. My Italian friend Gualtiero said that in Italy, they play advertisements for this spirit on primetime television, and he said he viewed it in much the same way that I probably view a spirit like Jack Daniel’s. Fortunately, as an American, I can enjoy it free of this perception. And speaking my friend Gualtiero, he was kind enough to bring me a bottle of Amaro al Tartufo, which is made in Umbria, where he is from. It is thoroughly black, and tastes very different from the other amari in my collection. It has a clean citrus taste on the sip, and then a lingering, earthy truffle finish. I’ve never had anything like it, but then, I’ve never taken an amaro tour of Italy. I think I feel a vacation plan coming on. Generally speaking, I have no desire to mix this into a cocktail, as the truffle flavor is delicate and easily squashed. Then again, it was wonderful when I mixed it with fresh, sweet tomato juice. Amaro Nonino is malty brown, for a change, and very light and sweet. When I tasted it for this post, I was surprised to find that it was bitterer than I remembered, but still nothing to write home about. Friedrich Nietzche wrote, “When one has properly trained ones conscience, it kisses you as it bites you.” In an amaro, I prefer and inversion of this; I want it to bite me as it kisses. Unfortunately, Nonino lacks bite, making it much better as a mixer than on its own. It has a hint of vanilla in it, and it’s it’s as close to rum as an amaro gets, which isn’t terribly close, but hopefully it gives you some idea of the flavor. 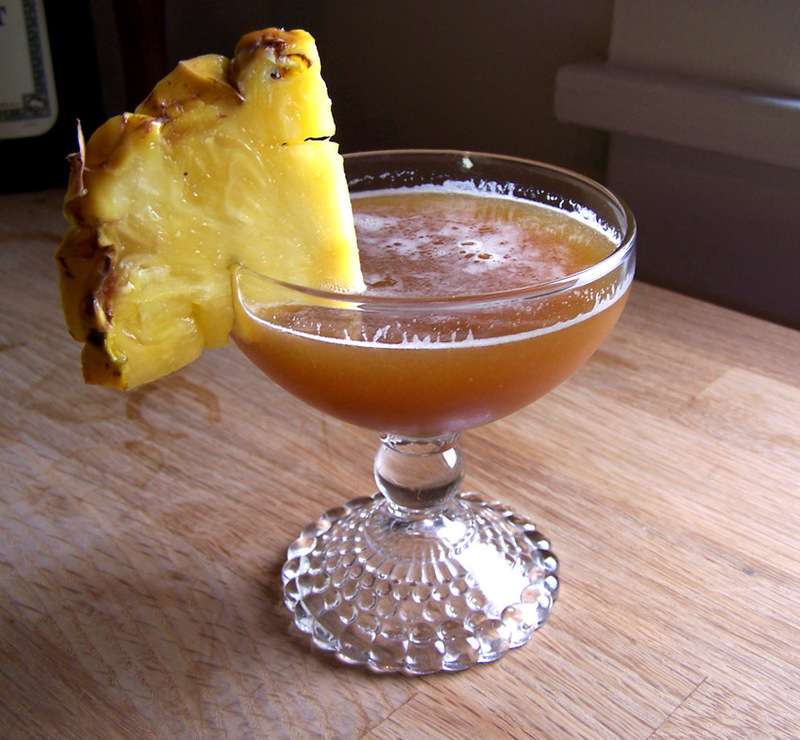 As I discovered when I made the above drink, it pairs swimmingly with Mezcal. My only complaint is that it contains a noticeable amount of caramel coloring, and I feel that it leaves a film in your mouth, much like Coca Cola. On that note, it would probably be great with Coke. Ramazotti is black, and probably my favorite amaro that isn’t Fernet. 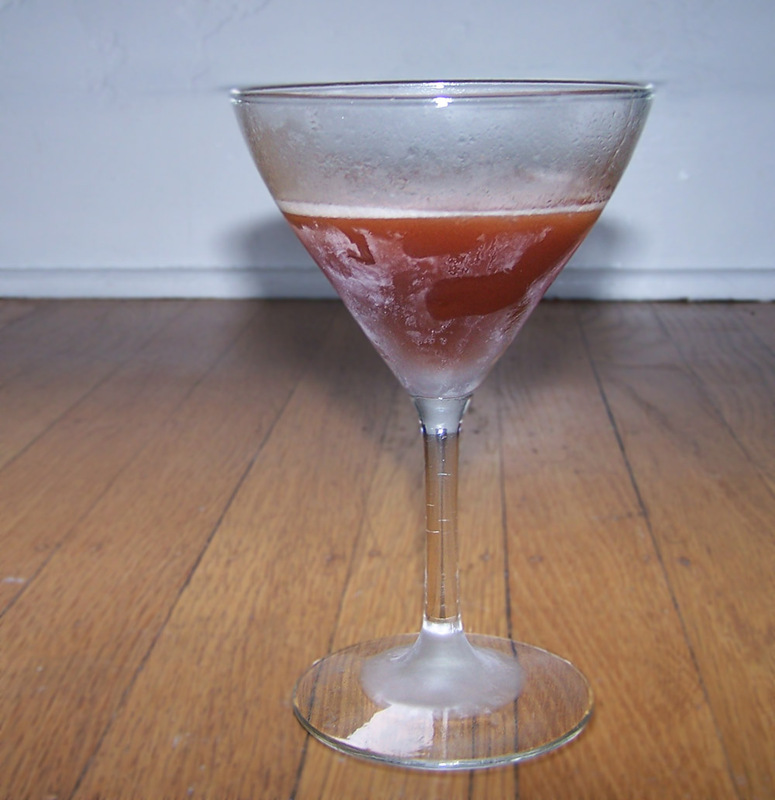 It has a blood orange flavor, and tastes almost like a not-sweet version of Gran Marnier. I am pretty sure it’s bittered with gentian root, the same agent used to make Angostura bitters. When I first tried it, I thought, “this is sweet and tastes like oranges. I wonder how it would be in a margarita?” The answer, my friends, is: terrible. Ramazotti is not nearly as sweet as triple sec, and the herbal flavors in the the liqueur really muddied the flavor of the fresh lime juice. Don’t do it. 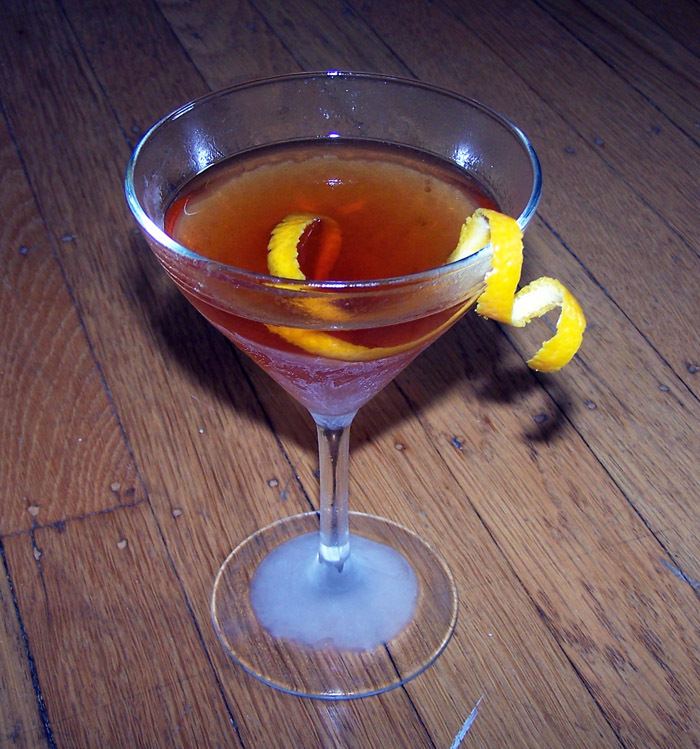 Do try adding a quarter ounce of it to your Manhattan; it’s simply divine. This is a must-have for your home bar. Bitterness: 5/10. Proof: 60. Pictured: Chocolate Cochon. Not a great cocktail to showcase Ramazotti, but it will have to do. Cynar is black, and substantially different from most of the Amari described herein. Of all the spirits I have described in this post, I would compare it most to Campari, though it is perhaps a bit milder, and has a definite vegetal funk. The aroma is not distinctly artichokey, but on the sip it comes through loud and clear. 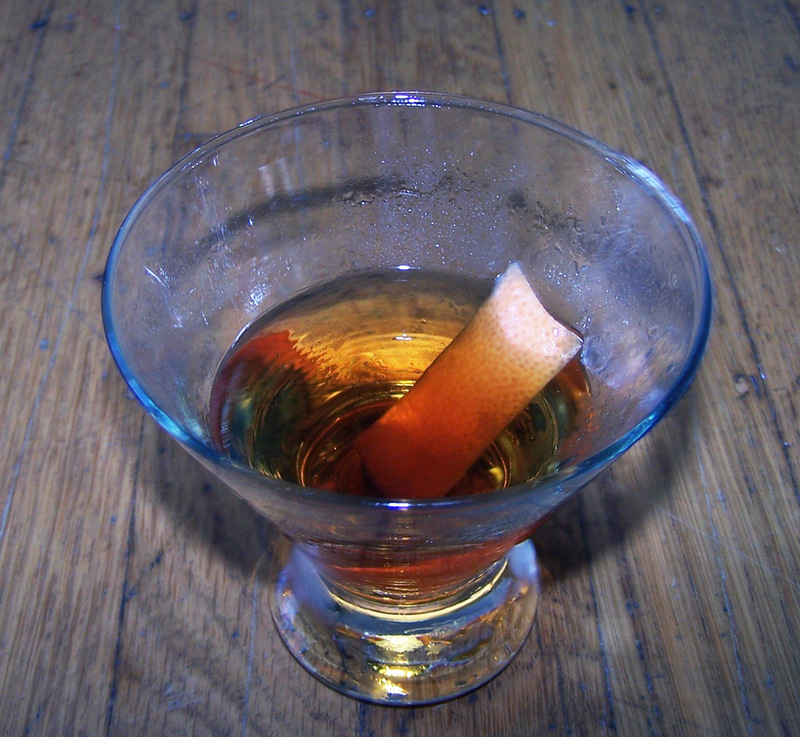 As with Campari, the bittering agent is definitely Cinchona bark. I highly suggest substituting Cynar for Campari in a Negroni or a Spritz. This is not a must-have, but it is a highly recommended. Cardamaro is light brown, and technically a fortified wine, whereas all of the other spirits here are aged infusions and/or distillates. It’s less bitter even than Carpano Antica, which is a sweet vermouth, to give you some idea. It is assertively herbal, however, and can be used just like vermouth or sherry in a mixed drink. It’s a great way to add some variety to your fortified wine game, and I love it, but it certainly doesn’t bring much bitterness to the table. Before I tried it, I was hoping it was flavored with cardamom, but it turns out it is flavored with cardoon, which is similar to an artichoke. Since this is a wine, you’ll want to store it in the fridge after you open it. Rhabarbaro Zucca is black. I think it is bittered with both Wormwood and Cinchona bark, but it’s hard to tell with this one. Ostensibly it is a rhubarb-flavored amaro, and I don’t doubt that there is rhubarb in it, but the flavor of it is minimal. There is some sweetness on the sip that reminds me of rhubarb jam, but it’s faint enough that it could just be the power of suggestion. Sadly, this one goes on the B list along with Averna. You could substitute Ciociaro, Ramazotti, or even Cynar for it, and you would probably like the resulting drink more, in most cases. I will not buy it again. Rounding off the list is Fernet Branca, and if you’ve been reading my blog for any length of time, you already know how much I like this. Buy it twice. It is minty, bitter, and not sweet at all. I can tell you that it is almost certainly bittered with Angelica root, but I do not know if that is the only bittering agent. I suggest putting it in everything. Mix it with whiskey. Mix it with gin. Mix it with pineapple juice. On the weekend, mix it with the milk in your breakfast cereal. Mmmm, the breakfast of champions. Categories: spirituality | Tags: alcohol, amari, amaro, averna, bitter, bitters, booze, campari, cardamaro, ciociaro, cocktail, cocktails, cynar, drinking, drinks, fernet, fernet branca, liqueur, liquor, mixed drinks, mixology, montenegro, nonino, ramazotti, tartufo | Permalink. When are your bitters ready? This post made me want Ramazzotti too. Thanks for the very informative post. Where would you rate Aperol in there? Due too limited availability I have little experience with america. I have Cynar, which I love, Campari for Negronis, recently got some Fernet Branca which I look forward to playing around with,and got Aperol last week. I wasn’t blown away and am not quite sure what to do with it. But that’s the thing with america, I guess. They take time to grow on you. I am not a huge fan of Aperol; rather than buy it, if I see a drink that calls for it, I just use half that amount of Campari, and a dash of simple syrup. Supposedly, it pairs well with absinthe, but I haven’t tried it because I am not a huge fan of strong liquorice flavors. It also goes well with lemon juice, and makes a nice addition to a Tom Collins on a hot summer day. Thanks, I’m not a fan of absinthe either, so i won’t be trying that one, but I am thinking of revisiting Collinses, so that’s something to try. Have you tried Luxardo Bitters? I saw that the other day. This city is pretty starved of amari, so I was thinking of adding it to my (very long) to buy list. Luxardo Bitters is going to be almost identical to Campari. Luxardo Amaro Abano is worth it, though. I’ve read that Ciociaro is a good sub for Amer Picon. Any comments on the shelf life of amari once opened? Also are they better stored in the fridge or it doesn’t matter? Cardamaro is a fortified wine, and should be kept in the fridge, as you would vermouth. It will go bad in a few weeks. 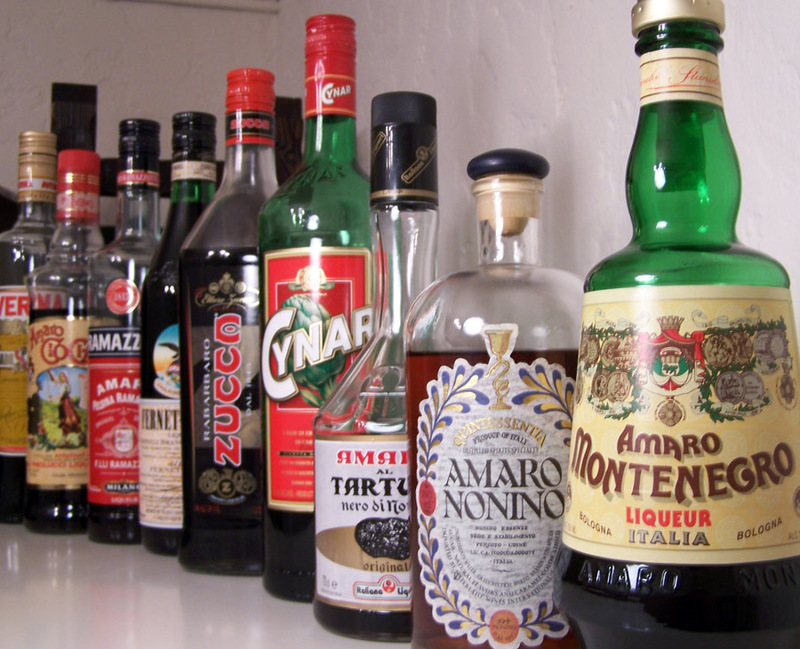 Other amari are liqueurs, and can be stored in your liquor cabinet. They will keep indefinitely. The alcohol content of amari varies hugely between the different styles. Presumably the more alcoholic an amaro, the longer it will last. Even the weakest are high in alcohol (over 20% by volume? ), so I suspect they will last indefinitely below 20 Celsius, and forever in the fridge! Fernet has become the extreme sport of drinking…. Oh, you like to play pick up basketball? How quaint. I mountain bike when the moon is full. Oh, you’re having a gin and tonic? Awww, that’s sweet. I’m drinking fernet, with a lemon rind. I find the best way to drink all these is with tonic water… especially Fernet. It magnifies the bitterness but because tonic adds bitterness and not much else in terms of flavour (as long as you don’t buy the bitter lemon versions! ), it lets the flavours of each of the amari shine through. I’ve had a lot of amari but Fernet remains my favourite. Haven’t had Amaro al Tartufo yet, thats one I’d love to try. Viparo and Amaro del Capo, Lucano, Braulio and Radis are others not listed here. Of these Amaro del Capo is my least favourite (too sweet!) but has a cool bottle. Cynar is fantastic despite being fairly light and more of an aperitif. Many new amaro have come to the american market since I wrote this post. It’s probably time for a sequel. Yeh that’s a great idea. I’m in the UK and usually wait until I visit Italy on holiday to pick up amari, they tend to be really expensive here in the UK (£20-£30/$35-$45 a bottle! In Italy they’re around 10 euros/£8 each). What are the prices like in the US? Great blog post by the way, I forgot to mention that in my last post! Your amaro cocktails are really inventive! Prices range from 25 – 50 USD, average is about 35. Thanks, I will be sure to try fernet and tonic in the near future. I had never heard of Abernathy until a mixologist at Anvil Bar and Refuge in Houston made me a Black Manhattan. Love it. Give it a try. Damn autocorrect. Abernathy was supposed to be Averna! Gentian doesn’t taste of oranges, that would be the orange peel that you’re tasting in Grand Marnier and Angostura bitters. I’m sure that gentian is one of the bittering agents in Angostura but it doesn’t taste like orange. If you want to know what gentian tastes like try Bonal or other French bitter aperitifs like Suze. It’s bitter but more like the bitterness from a root than bitter frin a peel, if that makes any sense. Like how cardoon is different from campari. Yeah dude I wrote this article five years ago, I hate it, and I think it’s one of my worst pieces on this blog, but somehow it ended up drawing more search traffic than anything else. I don’t want to edit it, because it could lose the google magic, but it’s full of bad information. Because lots of people are discovering amari, perhaps? over the cocktail, and discard.